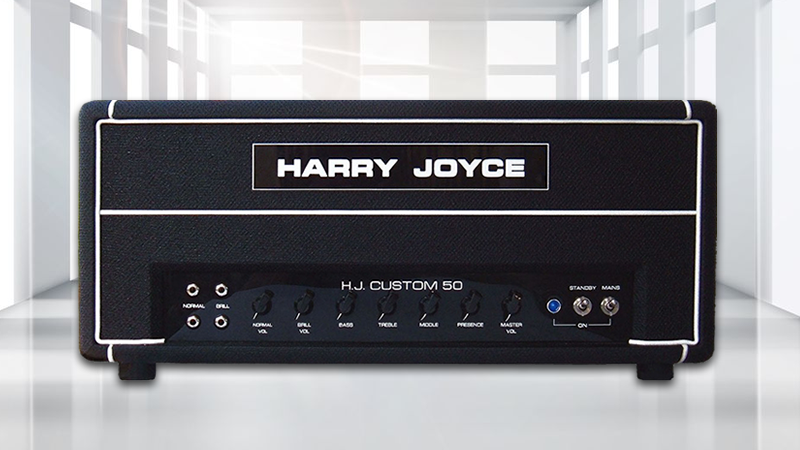 Legendary Harry Joyce Amplifier relaunched in the U.S.
Sarasota, FL – June 2, 2015 – (GuitarPR) – Harry Joyce USA has been formed to relaunch the legendary Harry Joyce brand, renowned around the world as one of the finest amplifier lines ever manufactured. Its line is currently comprised of the H.J. Custom 30-watt, H.J. Custom 50-watt and H.J. Custom 100-watt amplifiers, with other new revolutionary models forthcoming. The Harry Joyce name is recognized as a global leader in tube amplifiers, for unparalleled sound, component quality and the precision of its hand wiring to stringent U.S. military specs. The brand has long been considered a preferred choice for the knowledgeable musician. The new company is dedicated to the legacy of the late, great Harry Joyce and led by Harry Joyce USA President, Kevin Wood. “We are so excited and honored to continue with Harry’s legacy of manufacturing and distributing the world’s finest hand-built guitar amplifiers. This is a promise we made to him, and we could not be more proud to be involved with the iconic Harry Joyce brand,” says Wood. Also integrally involved with the company are head of research & development, George Scholz and valued consultant, Charles Bertonazzi—both of whom worked together with Joyce during his long and legendary career. Every amplifier sold by the company is engraved with “In loving memory of Harry Joyce,” to demonstrate Harry Joyce USA’s dedication to his legacy. Before his diagnosis with cancer and untimely death in 2002, he approved the continuation of his line with Bertonazzi and Scholz. Now, Cleva One, LLC, has acquired the license for the U.S. trademark and holds exclusive distribution rights. In addition, the company maintains the official Harry Joyce website. Joyce went on to work with speaker firms Celestion and Fane prior to launching new proprietary designs with the assistance of Scholz in 1992, with the first 3 amps going to the “Robert Plant Group.” While they have been utilized onstage by the Black Crowes, Brad Whitford of Aerosmith has also been seen using a Harry Joyce as have other players in the pro field. For more information and direct sales, visit www.HarryJoyce.com.